A decade ago, I met Lauren Eggert-Crowe in Atlanta at the Association for Writers and Writing Programs (AWP) conference, where I was part of a panel entitled “The Imagination of Displacement“—a subject that I continue to explore through my writings and visual art. At the time, Lauren was producing a zine, Galatea’s Pants, which she generated as a hand-produced publication, resisting the ease of computers. That year, she conducted a phone interview with me, which she published in her zine. Lauren went on to complete the MFA program at the University of Arizona, while I directed my energy toward motherhood and developing new productions through Voices Breaking Boundaries (VBB). Busy with our lives, we dropped out of touch. 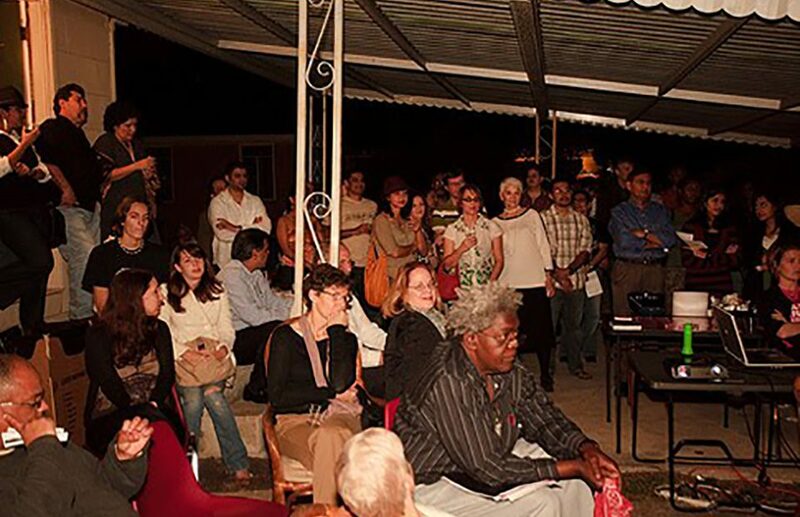 But six months ago, shortly after my family’s move to southern California, I attended LitCrawl to support Pat Alderete and liz gonzález, my friends from the Macondo Writers Workshop. That night, I ran into Lauren—who was also performing—and learned that she had moved to LA a few years ago. Since our fall 2016 encounter, I’ve seen Lauren many times at Women Who Submit, a support group for women writers, which she co-administers. I was moved by her invitation, especially since I have a long history of experiencing and creating art in residential homes. While growing up in Karachi, my parents often opened out our living room and garden for poetry readings, music, and dance performances. 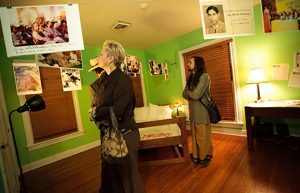 And in my more recent “home,” Houston, I created art installations and collaborated with artists to transform residential homes into performance and interactive art spaces. Lauren is organizing a backyard reading (something she does often), and on Saturday, June 24, I will read my work alongside three women writers—Iris De Anda, Melissa Chadburn, and Myriam Gurba—in her backyard. If you’re in LA and available to attend, please message me so I can share the address!